To the American readers out there, Happy Independence Day! I'm starting off my day with a very American game of futbol of Germany vs France. I'm leaning Germany, so we'll see! Enjoy the barbecues and go read something just because you can. I'll see you with reviews and posts next week! 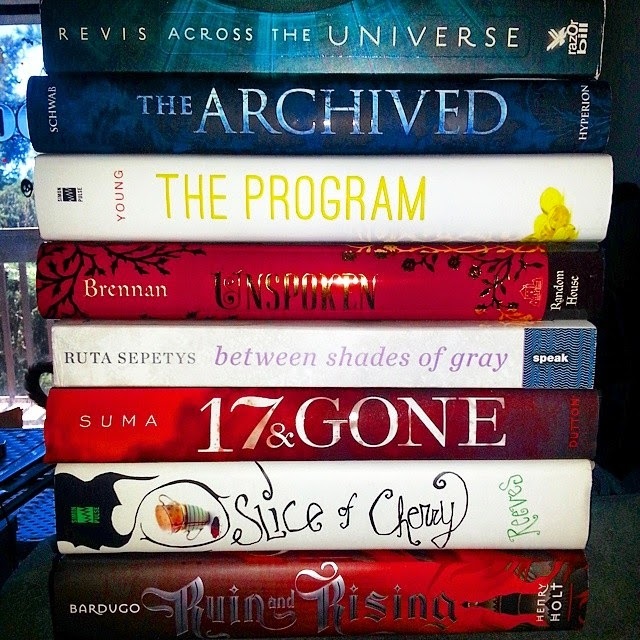 And don't forget to enter the Freedom to Read Giveaway for your choice of a young adult title! Absolutely love that book flag!